The PlayStation 4 version launches alongside a brand new update after maintenance! Our next AC Scratch will arrive a little later, on April 22nd. The PlayStation 4 version will be available for download around noon (JST). Vita players may encounter insufficient storage space when downloading the 8521 MB patch on April 20th. 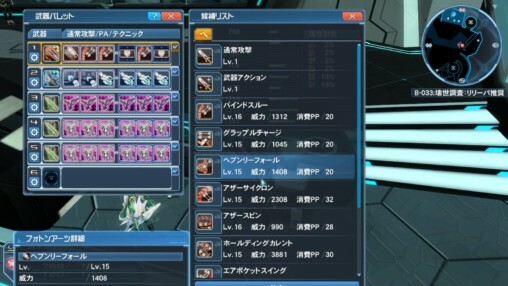 Those affected should delete the PSO2 application and re-download the game and patch once the update becomes available. The following directions are recommended for Tweaker Users to install the pre-patch. 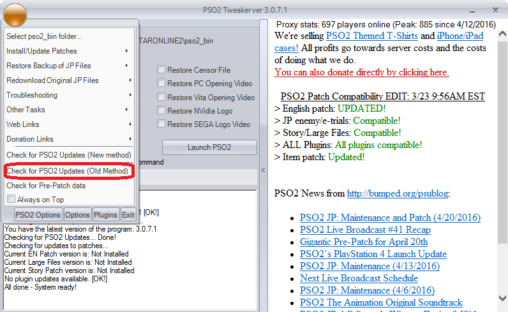 Please keep in mind that using the “Old Method” overwrites all English Patch files, including the Story Patch. This may result in additional files being downloaded if one has not backed up the affected files. 1. With the Tweaker started, click [Yes] if prompted to install the pre-patch files. 2. Click [No] if asked to download an update for PSO2. Hitting [Yes] will launch the new method. 3. From here, you should now be greeted by the default Tweaker menu. 4. Click on the orb located on the top left of the Tweaker itself. 5. 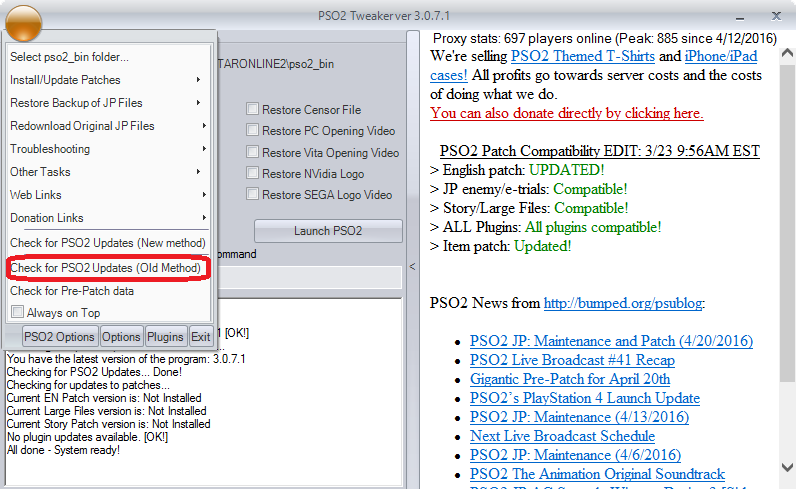 From the dropdown menu, select the “Check for PSO2 Updates (Old Method)” option. The Tweaker will now perform a file check and uninstall any English patches if you’ve installed them. Once it has finished checking the files, it will then download the rest of the update. This should successfully complete the updating process. ※Please note that if you happened to install any of the English Patches, the Tweaker will also re-download the original Japanese files, as well as the update. This may increase the total size of the update. Starting April 20th, a plethora of pre-existing weapons will begin dropping under the (NT) (New-Type) classification system. These weapons will use a grinding process that unites multiple features all into the same menu. This grinding process will be explained in more detail sometime after the servers go up. Desert Exploration and Quarry Exploration are the newest fields to receive gathering spots. The Gathering Mini-Guide will be updated to cover the new rings and cuisines. 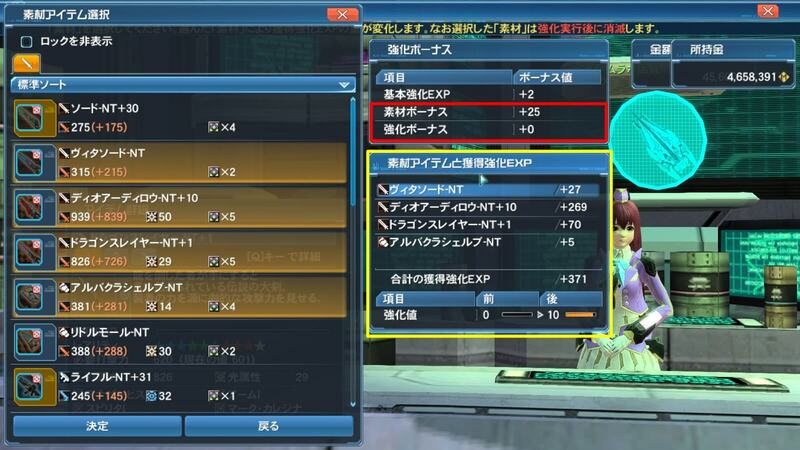 ※ Items and EXP can not be obtained from these quests. ※These quests will be available until June 22nd. The above names are temporary and will be changed to reflect what’s written in the English Patch. ※ Jeané will receive new client orders along with this update. ※ Subdue Fongalf must be cleared in order to access these quests. Fighter Skill “Crazy Heart” has been updated to also allow the pet’s normal attacks to increase the PP recovered. The palette will now be able to switch when pressing the Palette Switching button during Na Zonde’s attack. The grinding menu will now display the changes in HP needed to activate the Perfect Keeper rings based on its grind value. Invincibility frames have been added to Just Guards for skill rings that activate under that condition. The following Client Orders have changed to distribute an NT classified weapon as the reward. For [Annihilator’s Apparition], the name of the [Magatsu Annihilation Boost] that occurs after clearing the quest will now be known as [Raid Reward]. Arks Quest [Rare Ore Mining] will now be comprised of 2 Areas. The [Empe Rappy] will now appear as an Emergency Trial in all Free-Fields. After completing the quest, there’s a chance that you may end up in a different block than the one you originally departed from. Removed [Using Partner Cards] as an objective for the [Basic Combat Operation] Arks Road. Star Gems are a new form of currency that allows players to purchase some services that would typically require AC. 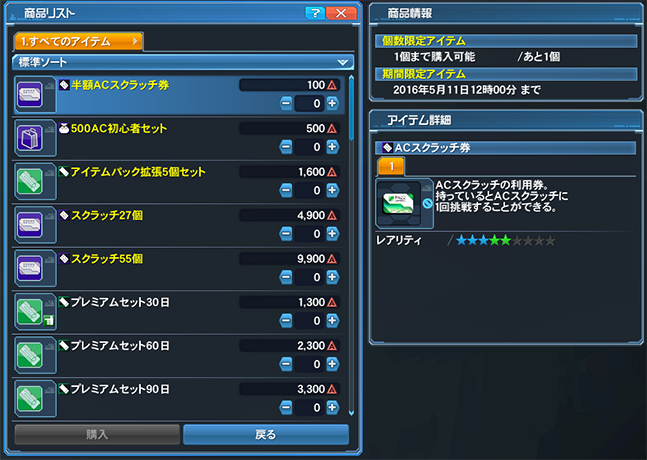 You can receive Star Gems for free by performing certain actions in the game, or with real money by spending Arks Cash. [Free] As a reward for wearing a newly released costume, body part, or outerwear. [Free] As a reward based on your placement in the Rankings. Players can receive Star Gems for free by wearing Costumes, Outerwear, or Body Parts released after April 22nd, 2016. Added [Smart Inner] among the choices of default Innerwear. Male Casts will now be able to [favorite] their head parts. Removed the option to select [Small Window Size] from the Salon Settings in Options. Collection File is a new system that allows you to obtain a rare weapon after collecting other items. The collection sheet is split up into two categories known as [Reward Item] and [Required Items]. Collecting all the [Required Items] allows you to obtain the [Reward Item] listed at the top of the sheet. One the player obtains the [Reward Item] the collection sheet will be placed into cooldown, which can be reset through payment of Star Gems. Each [Required Item] requires the player to defeat specific enemies. During the Quest Results screen, the gauge for that item will rise if the player defeats enemies targeted for that item. Once the gauge reaches close to 100%, the item will drop upon defeating the next qualified enemy. Bonus Quests and Story Quests do not qualify for the Collection File System. 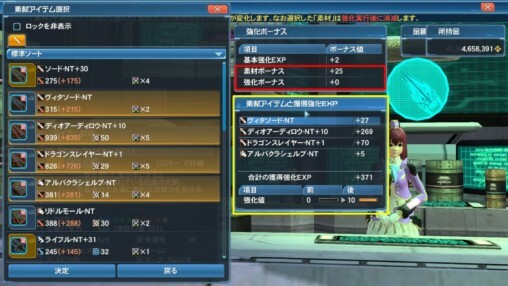 Defeating enemies and picking up qualified items within PSO2es will not count towards the Collection File System. [Collection File] has been added to the [Item Pack] button in the Main Menu. [Event Item] was moved to another location. It can now be accessed from [My Data] > [Character Information]. Added the new Lobby [Reaction] system. Only some Lobby Actions will support the [Reaction] feature. The Item Lab will be updated to support New-Type Weapons. New-Type Weapons will use a new grinding system that’s different from our current iteration. Menu option [Unlock Potential Abilities] will have its name changed to say [Unlock Old-Type Potential Abilities]. Players can unlock the potential abilities for New-Type weapons by utilizing the [Item Grind] option listed at the top of the Item Lab menu. Element Grinding for New-Type weapons can only be performed through the [Item Grind] option listed at the top of the Item Lab menu. The [Element Grinding] option in the Item Lab menu will only allow you to select [Element Changers] as assistance items for weapons that already reached the max elemental grind. Grinding assistance item explanations will now say which items qualify for its usage at the Item Lab. One personality will be grayed out if two of the same personalities show up during Rarity Grinding. Locked Eggs can no longer be synthesized with pets. You can now return a Pet back into an Egg at the Pet Lab. Performing this action costs meseta. All candy will be deleted from the pet’s candy box. Crushed Caramel cubes will be revived. Only the pet’s name, stats, and level remain. Please use the candy remover if you wish to keep the candy for later use. Added Potentials that can be unlocked through a new item called [Weaponoid Booster]. Only some weapons will receive this new potential. The product listing for the FUN Shop will be split up into 3 categories. My Room Shop lineup has been updated. Increased the limit on the number of Lambda Grinders you can receive. Added New Graphics Setting 6 to the slider. Instead of an expressing the Shift and Spacebar keys through letters, the [Control Announcements Settings] will now display them as icons if [Keyboard Type] was selected. Added a setting to reduce the brightness of some effects under the Drawing Settings. [Auto Meseta Pickup] will now be turned on by default. Added [Action Palette Type] as a new setting in Options. With this you can change your weapon palette from the current [2-button] type system over to the [3-button] style. Added chat commands [/ce] [/ce off] and [/ce on]. [/ce] will make your character temporarily look at the camera. Normally this lastst for 10 seconds, however by typing [/ce on], your character will continue to look until they either log off or [/ce off] is entered. [/uioff] temporarily removes the user interface. You can remove the interface for a specific number of seconds by typing a number after the chat command. For example [/uioff 5] will remove the interface for 5 seconds. The UI can be turned off with this command for a maximum of 600 seconds. Your Casino Coins will no longer display in the [Basic Status] window. You can view the status of your [CC] by heading to the casino. Added Star Gem currency to the [Basic Status] window. In the PC version, added a return button in the Candy Compression menu at the Pet Lab. Changed some of the file types in the PC version, granting some improvements to its loading speed. [Episode 4’s Opening Movie] has been added to the Lobby Monitors, Title Screen, and Event Chronicle. Purchase counts for Egg Synthesis recovery and Stamina Drinks will now reset at [5 AM] instead of [12 AM]. Instead of the [Extreme Quest Administrator], Pudding will now be known as the [Equipment Administrator]. New Characters will now have a [New-Type] weapon when they start. You can now receive a [Weaponoid Booster] as a reward for clearing Jeané’s Emergency Trial. Changed the design of the Photon Booster’s icon. Some quests which do not drop Matter Board and Client Order items will now be able to do so. You can now receive Magatsu Bonus Keys in the Gift Box for clearing a Featured Quest. While overall you’ll have a higher chance at obtaining a Bonus Key, they have reduced the rate in which a Tokyo Bonus Key will appear in the box. Lucky Rise style special effect will now share the same description with other abilities that have identical effects. Adjusted the contents of some tutorials. The tutorials listed in the System Menu will now be sorted by topic. Added an event where Xiera introduces the Gate Area for players who start a new game. When switching your weapon palette, it will now display the elemental value and the element of the pet assigned to the Tact. Changed the lineup of Ships in the Ship selection screen. You can now immediately receive an Secret Phrase Campaign Item from the Visiphone after saying the qualifying phrase. The My Shop Search Results list has been updated to include applicable items distributed no later than April 19th. Added an entry in the AC Scratch Purchase menu that directs you to the AC Scratch Catalog website. It will now be easier to hit enemies with Marron/Melon Curse. Changed the Exploration Permits given from the following Koffie Orders. Lengthened the firing range of the AIS Gatling Gun. Relaxed the difficulty of the Emergency Trial in which you must [Suppress the Massive Outbreak of Enemies]. Welcome aboard PlayStation 4 players! Today marks the official launch of the PlayStation 4 version. PlayStation 4 players who are new to the game can read up on brief tutorials that cover registering, logging in, and selecting a character. More information will be added to the guides in the future! For now please click the button below to read our guide on getting started. From here you can store up to 6 actions in your weapon palette, ranging from photon arts, weapon actions, and normal attacks. You can place these actions in any of the slots, creating situations where all the buttons are set with PAs. If you really wanted to, you could even place multiple instances of the guard button. only Itsuki in your party. 艦橋に興味あり Speak to Xiera on the Bridge. only Itsuki and SORO in your party. カジノで勝ちたいの Speak to Alto at the Casino. only Itsuki and RINA/SORO in your party. アークスの料理はどんなもの? Speak to Sophia at Franca’s Café. either version of Itsuki and RINA/SORO. ※Be sure to select the “Talk” option when interacting with the NPCs. Register a new SEGA ID and start playing PSO2 during the campaign period to receive prizes worthy of a rookie ARKS member. Use the EXP Tickets right after clearing the tutorial to boost your character straight to level 10! Until maintenance on August 24th. Create a new character and reach the specified levels for any class to receive EXP Tickets and Triboosters! Pick up a new prize from the Visiphone each day you log into the game during the campaign! Loads of Rappy Suits coming with purchases of Premium Sets during the campaign period. 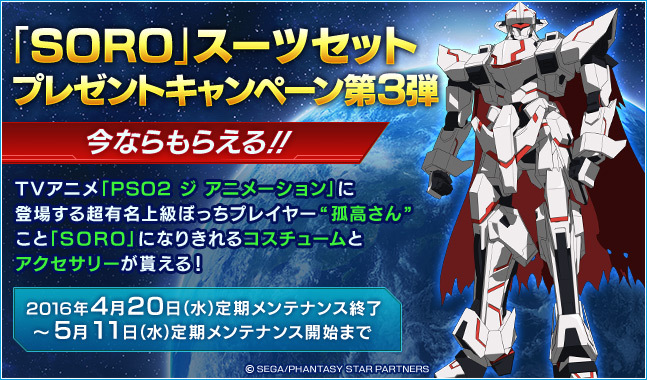 This campaign is open to both PSO2 and PSO2es players! However, PSO2es players must link their account to qualify. Get in on the fun of joining a team and participating in team activities, while earning prizes along the way. Join or already be in a team with four or more players to receive one +100% Tribooster. Earn additional rewards by clearing the selected objective each week of the campaign. The SORO Suit Set campaign returns for any that missed their chance last time. Work your way through Episode 4’s story to earn SORO’s costume. ※Players who successfully completed one of the previous SORO Suit Set campaigns will not be eligible for the prizes again. Purchase AC Shop items at a discounted rate between April 20th ~ May 11th. These items will appear in yellow at the AC Shop. Considering it’s the 30+ GB of the main game, plus the same patch as the PC version, not really. Uhm i already finish prepatch for the next update via tweaker but somehow the precede file only show 6gb and when i check pre patch via tweaker again after tweaker checking nothing downloaded again, am i doing this wrong? Or just the prepatch available only for the official launcher and torrent? i think better using sega official launcher…more safe. Should be 17.5 Gb or thereabouts (mine is, anyway). Idk, try deleting the _precede folder? If we already have the client downloaded on the PS4 for the closed test will It just have a large patch or will we have to completely download the client from scratch again? You need to delete the CBT Client. Thanks for the reply. As I was stupid and didn’t realize this I have a saved character saved that I made using the client that I planned on making my alternate character when It opens but If I delete the client won’t I lose the save file of the character? Much like the Vita CBT back in early 2013, the PS4 CBT is an entirely different client. So get ready to download a new client around 11:00P.M. EDT when it’s available. I will say something… Anyone downloading it on PS4, the game will take as long as the maintenance period to download to playable on a connection which will run the game satisfactorily. As for now the jp play station store has not uploaded pso2 yet. Comes out around 10pm Central time. As an example for an english Playstation store, most games appear around noon, which is a long time away. just to be sure. 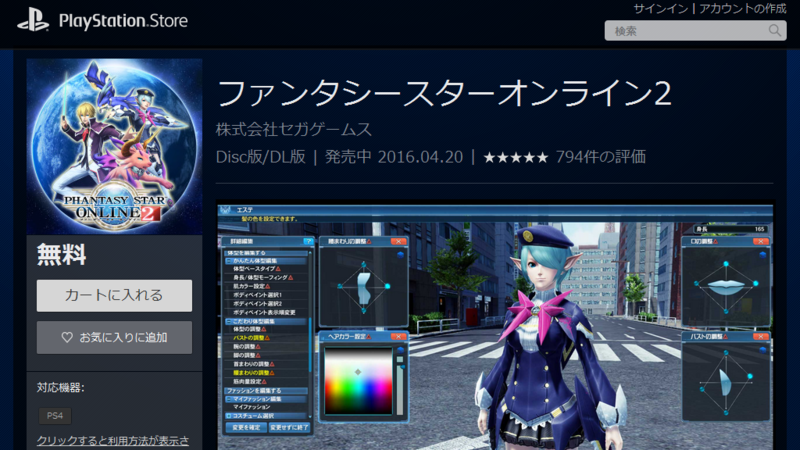 you do not need PS+ to play PSO2 on the PS4 correct? A PlayStation Plus subscription will not be required to play PSO2 on the PlayStation 4. I may be wrong, but Sony doesn’t make you pay for PS+ to play MMOs, I remember FFXIV didn’t need an active PS+ subscription to sign in. 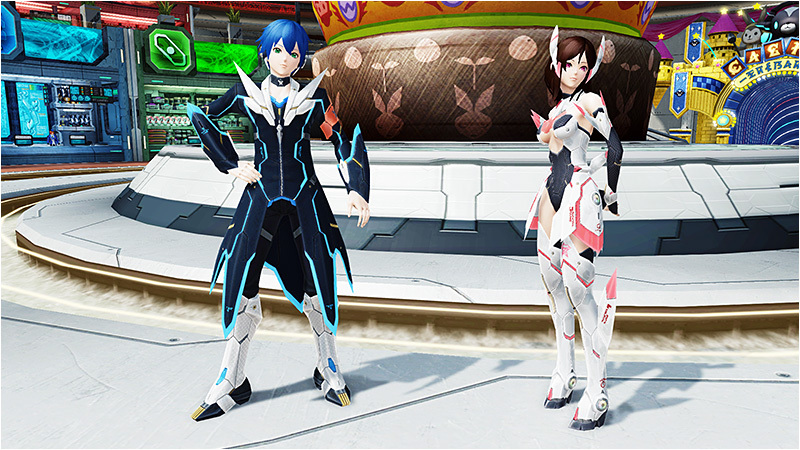 PSO2 is a Free to Play online game, so no Playstation Plus is required to be able to play it. Is it a must using that way?? And why we are not just click yes when it prompt install the pre-patch?? Pso2 is on jp playstore now everyone. Does anyone on the PS4 have the Issue of the game not correctly fitting the screen, It has black borders around It? It wasn’t like this In the beta so I’m assuming there may be a setting to fix It. When the game opens If anyone finds out how to fix It I’d really appreciate a reply letting me know. You have to adjust your TV picture size. So…i downloaded via torrent, how to install it??? Question, will I be able to to use my PC account/Character for the PS4 version? You should be able to login using the same SEGA ID you’re using for PC version… Though may require verification via your e-mail..
man i’m so torn if download the ps4 version and switch to that since my laptop is aging, and play at graphic settings 6, i currently play at setting 4 with lots of effects turned off, but i’d have to buy a wireless keyboard, or use an old keyboard, to write in chat. I don’t think you can use PC characters on the PS4… I keep getting a yellow string of text when I try to select a character to login on. you can, you just have to link your email account associated with the Sega ID to a PSN account. Has anyone actually been able to log in to the PS4 version of PSO2? Mine’s not done downloading yet, but I’ve tried repeatedly and and I keep getting error 674, even though my SEGA ID and password are valid, so either A) I have to wait for the game to download completely or B) I just can’t log in because I’m a lousy gaijin. You have to wait until the bar in the upper right corner is 100% after you’ve connected your PSN to your Sega ID. It’s got to install your data. Well I finished downloading the game on ps4 but i always get a message if i try to choose my character. Can’t get into the main lobby sadly. But i can’t read that message so i don’t know what the problem is. That really bothers me. Anyone tried this yet? I don’t even know what it means just from that. Maybe just maybe I can hope it will work better then having to set the input to keyboard (/totally manual config/) in in-game settings even though I use a Wii Classic Pro Controller/Mayflash USB. We talk about it a little bit in the new [Explanations] tab. By default RB (R1) and Middle Mouse button are used as the third button. so what to do with New-Type Weapons ? the 9 star or lass? drop it ? sell it? feed it to mag? Is there a way to put graphic 6 in tweaker? Nope, but you can use the official pso2 launcher, second option, and just move it to 6, close it, and then use the tweaker which’ll only change it back to 5 if you change the pso2 settings in tweaker. What if you just cut out the middle man and don’t have the official pso2 launcher? 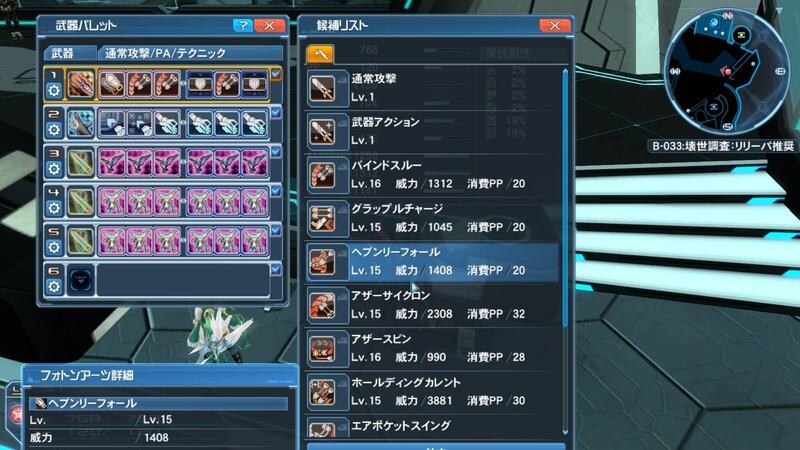 When I got pso2, I went the Tweaker route and just let it automate everything. Is there a way to access the official launcher somewhere in the folder? At work right now so I can’t check it. That would require you to be able to start the official launcher in the first place. Mine just spits out a series of error messages in Moonrunes(tm) and summarily closes, so not exactly an option. Just add that last line below “ShaderQuality”, worked fine for me. I appreciate that help. Thank you! I’d like to know the answer to that too. When I open the PSO2 options in Tweaker, it only allow up to Stage 5 graphics, and when I try to open the original japanese launcher, I immediately get some kind of error messages and it gets shut down (I even tryied to uninstall the english patches, still doesn’t work). Now I’m trying to see if there is any kind of config.ini file but it doesn’t seem like there is any, I dunno. Help please, I wanna get blind with the new shiny effects too. Do a file check..don’t install story patches/big patches when the whole update itself is completely new and massive.. do you people even learn ?, anyways something is broken and YEW BROKE IT YEW FIX IT, delete the launcher/related exe files in the game folder then open tweaker, let it do a file check(old method) and then use the OFFICIAL LAUNCHER TO SET TIER6 AND KILL URSELF AHO > _ >… any issues with resolution, reddit has the answers for it. Do you even timestamps bro. All of this stopped being an issue when the Tweaker was updated half a day ago already; you’re beating a very dead horse. NAO YEW FEWL, peasants don’t get that option fresh outta the box. open official launcher, right below the big button “clicky” then set slider to tie6 and then ..kill yourself right after clicking the the button in the below right corner. . > _ ># , if any issues with resolution then reddit will already have answers given for it. Your :contribution: has been duly noted and found utterly worthless. By the time you posted that the Tweaker had been updated for T6 graphics options for… something like 10 hours already. anyone having problems going to your room or teamroom? infinite tunnel loading. and yes i have already checked old and missing files, still getting this problem. Wow, I’ve been waiting for this update for such a long time. I haven’t played since around October last year, and I was hoping they’d have another Come Back to PSO2 event that I missed in December. See a lot of level up and new users, but nothing like a returning member. Does anyone know if they’re going to be one in store soon? http://pso2wiki.net/イツキ use google translate on that, you’ll figure what to do. About the file collection when the weapons that need to get the nw weapon is 100% then wat happens? When you kill some more enemies that weapon will drop for you. It should be glowing silver. Hey does anyone know how to change the gunbaldes mode on ps4? Like from ranged to melee and vise versa? Thank you if you answer! I haven’t played with the PS4 version a whole lot, but using a Bluetooth keyboard attachment for your PS4 controller or just a regular USB keyboard types in English for sure. Weapon action. If you’re on the 3-button control scheme you need to put it in one of the slots; it’s immediately under the basic attack in the list. For the SOROS Repca, if I’ve already cleared those events, can I still receive it by repeating them? I didn’t participate in any of the previous events for it. Would I need to make a new character and do those events for the first time in order for it to count? @Pippi – Look in the top right corner, if it says a percentage it’s a huge, huge, huge installation left to do. I had to leave the ps4 on overnight for it to install even after the download. Complete the specified ARKS Quest(s) and bring her X of the specified “observation devices”. For future reference every single Free Explo CO follows this exact same pattern, save Tokyo which doesn’t have the devices. …what with no enpatch for the dirty console peasants, there’s going to be a lot of these painfully elementary questions in the future won’t there? ._. Koffie’s CO was changed in the PS4 Update. Don’t talk down to people when you don’t even know all the info, lol….think the new 3rd objective in that CO is to complete a training quest. *shrug* That doesn’t show in the already-cleared quest then. And the point doesn’t change – since odds are the vast majority of PS4-only players are anything but Japanese literate, their lack of En patch (and, AFAIK, the impossibility of ever getting one) means they’re pretty much groping blind and will duly likely be asking painfully elementary questions here and elsewhere. it’s already frustrating,and you’re also right about the orders not changing for us if we cleared them. took me some time to realize that my greyed out (,completed) orders were different to a player just starting out. any idea which one? a friend has already cleared every training quest and koffie still isn’t counting it as cleared. Just to make sure – he DID have the CO active when he cleared them, right? I made a new character after the update and also noticed this had changed to having you clear a training quest. I cleared it twice before I figured it out! You have to literally TALK to Koffie after clearing it – select the Talk option in the menu when you walk up and interact with her (2nd option if you don’t have the patch). Then it will complete the CO.
yes. we don’t really know what went wrong but after he went through another quest it suddenly worked for him.